One of the most fundamental truths of investing is that you can’t time the market. Even so, it’s natural to wince a little when you buy an investment only to see the price drop, or sell only to see the price rise. 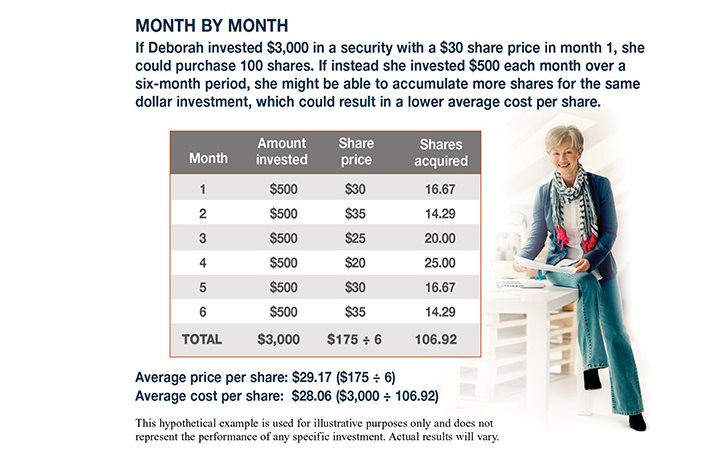 One approach that might help alleviate some of your concerns is dollar-cost averaging.